Jeff Kuhn can make a compelling case that when he dies, the event will require the combined energy of the universe to pull it off. The several deadly encounters that should have ended Jeff Kuhn’s life to this point have not worked. 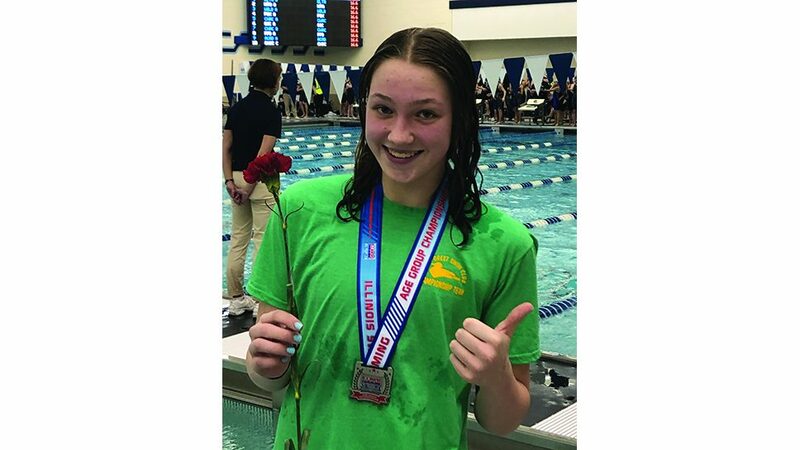 The Winnetka native and New Trier High School alumnus has transformed that will to live into a life coaching career—advising others that surviving physical and medical odds can inspire a life quest and, even better, a life achievement. He has become the new prophet of positive thinking. Hard to argue with his success. 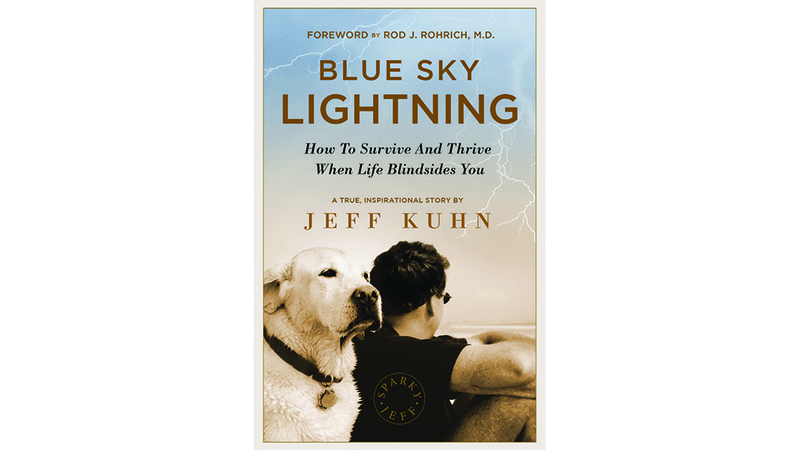 Kuhn catalogues that achievement in an inspirational Amazon top-selling book Blue Sky Lightning: How to Survive and Thrive When Life Blindsides You. He also transformed the title into blueskybolt.com, a motivational speaking company to share the message. His lesson is simple: Never give up. Never sur- render. You can win, if you never let the universe have its way. Easy to say; hard to do. But Kuhn’s proof of resilience is that he’s alive and fit at 60, which is the most amazing element of what should have been a tragic story. He should be dead. Even he says that now. As he slept in his Dallas home on Oct. 14, 1989, a fire broke out, consumed the house and nearly consumed Kuhn. His parents were summoned to Dallas to oversee the grim rituals. A priest provided Last Rites on his body and soul. The 18 skin graft surgeries that followed could have killed him. His body’s defenses were battered. The recovery was agonizing. The 20 percent of his body left uncharred became the only skin graft source for his reconstruction. He lost 40 pounds during the recovery, and then used physical therapy to rebuild himself into a nearly perfect physical specimen at 6-foot-4, 215 pounds. He followed New Trier with a degree in economics at Dartmouth (French literature, too), then a master’s degree at Northwestern University Kellogg School of Management and another master’s in real estate from USC in Los Angeles. He, his wife, and high school-aged son share time these days between homes in Los Angeles and Tucson. But the line to peace was hardly straight since the fire and reclamation. 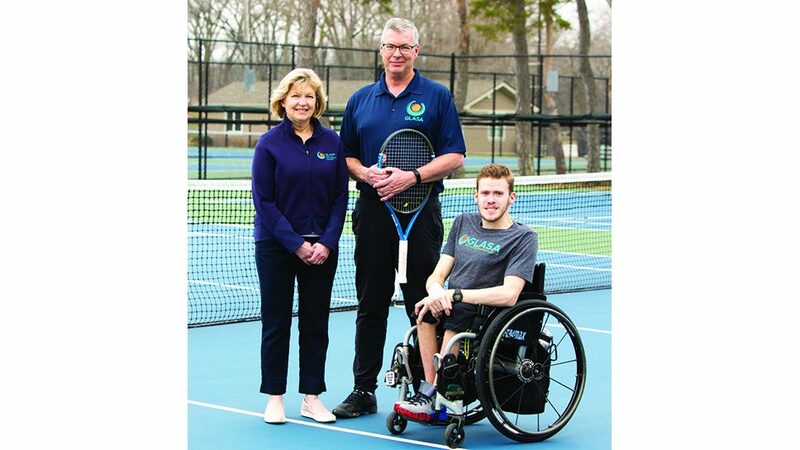 Two years after rebuilding from the burns, he was struck by a mysterious but profound auto-immune neuromuscular illness. That also nearly killed him. Texas doctors thought at first he had become the originating “patient zero” of a new, but deadly condition. Again, he beat potentially fatal odds. No one knows the scientific reason why. He was profoundly ill, and then normal. That took another two years of pain. He was left unemployed and bankrupt financially. Only Sparky, his Yellow Labrador retriever, made it through with him. He says he’s been inundated with stories from survivors who took heart in his tale, adopted his way of thinking,and recovered. They’ve shared their road back with him, too. So, there might be another book in the future.